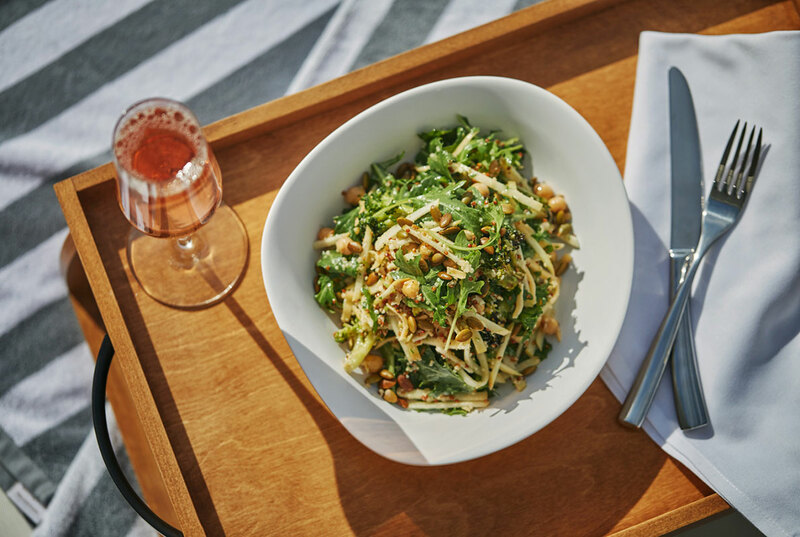 The Pool House bar and restaurant may be located at one of the best hotels in San Diego for out-of-town guests, but it is quickly becoming the go-to spot for locals as well. 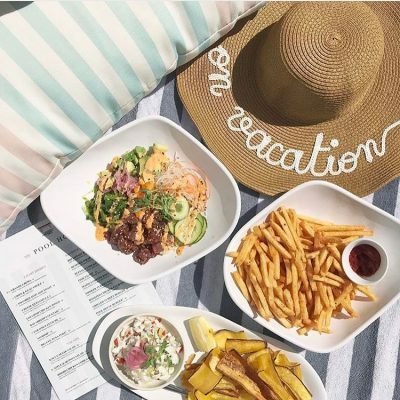 As the official hotel pool and bar of the San Diego Pendry, many out-of-towners have already fallen in love with The Pool House, but many locals are taking notice and making this their new go-to destination for virtually any type of day, or night out. In fact, we’ve listed just eight (of the many) reasons why locals should start coming more to The Pool House just in case you need a little inspiration to give our pool and bar a try. You’re already going to go out in the Gaslamp District. Let’s be honest if you are going to go out for some fun in San Diego, there in no better place than the Gaslamp District. We are located right in the heart of this neighborhood, making us a great pregame spot before you go out. We offer specials for locals. If you visit us during your lunch break, we offer locals 20% off of their bill. The Pool House is open from Monday through Friday from 11 Am to 5 PM. We are the best pool around. While many San Diego residents pay for their pool memberships, here at The Pool House, you can just come and visit us whenever you want. 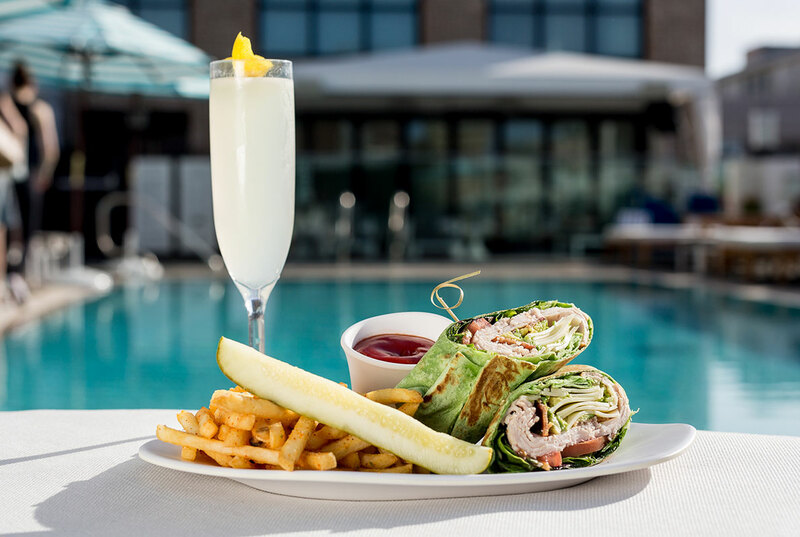 Plus, we have great food and delicious drinks for you to enjoy all afternoon long—we bet your crowded pool doesn’t have that. It is a great getaway right in the city. Sometimes, we all just need to get a way for a little bit, but getting away doesn’t mean that you have to go far or stay gone for long. You can enjoy a getaway right in the city, by just coming to The Pool House for a few hours, it is the best getaway that you can ask for. You need a Sunday Funday. Looking for something fun to do on Sunday? Why not pop down to The Pool House for a little Sunday Funday? Our Pool House Sundays are some of the best parties in the city and happen every Sunday at 1:00 PM. It is the best place in the city of a mojito. 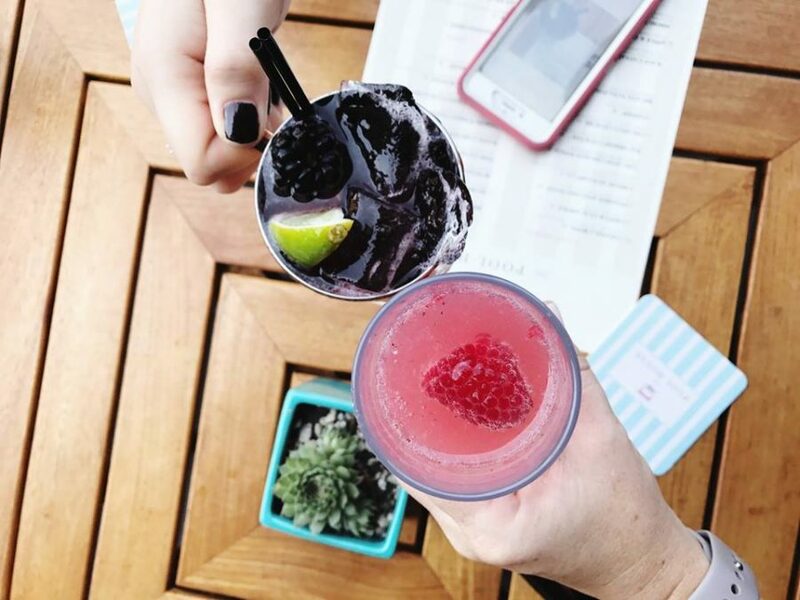 When you live in a warm climate like San Diego, you need to have a go-to place for some cool, refreshing mojitos. Don’t worry, we have you covered. Here at The Pool House, we are known for our Mojitos and can make you the perfect drink to help you cool down on a hot afternoon. It’s a great place to take guests. If you have out-of-towners coming into visit, why not show them some great views of San Diego, right here at The Pool House deck. It is a great place to take your out-of-town visitors and show them the fun side of the city. Our food is out-of-this-world. The best part about The Pool House? You don’t even need to get in the pool to enjoy the best part of our establishment. Our food is amazing, and features everything from filling entrees, to fresh seafood and apps that are perfect for sharing. We’re ready to give you the best meal of your week! Now that we’ve convinced you, why not come down to The Pool House and see first-hand what all of the fuss is about. We promise you, there is no other bar, or pool, like it in San Diego and that it is sure to be your new favorite spot in the city.